Tire Pressure Monitor System: What is it? T.P.M.S. This acronym has been raising a few eyebrows lately. It stands for Tire Pressure Monitor System. Just about all vehicles now have some form of a tire pressure monitor system. 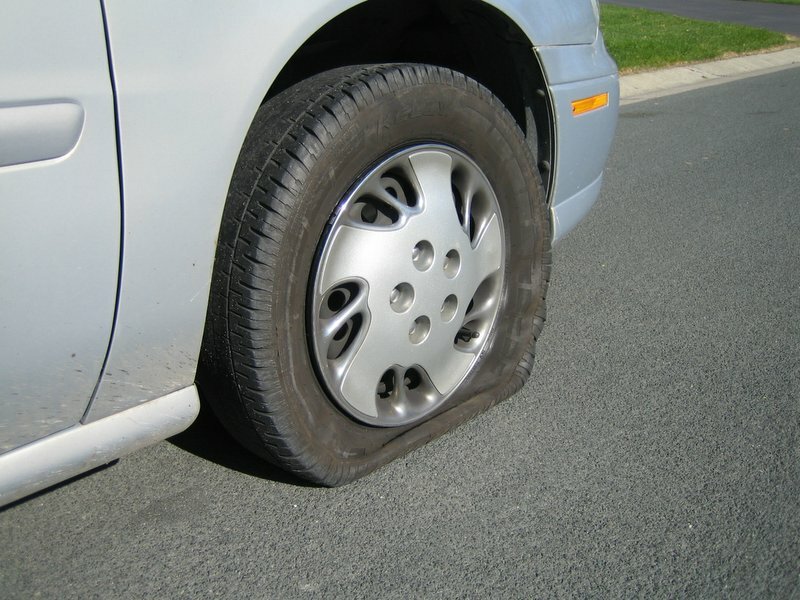 The purpose of this vehicle systems is to prevent you from driving your vehicle with a low or flat tire. Sounds like a great idea on paper, but this automotive system has suffered a bit in the real world application. If you recognized the tire pressure monitor system acronym immediately, odds are you have had trouble with it. The tire pressure monitor system formulates readings from each tire or wheel, then sends that information to a control module which processes the data. If the data is outside the programmed limits, a warning light is turned on. Many outside factors influence the system and components. Nail in tire? Nail gets fixed, air pressure in tire is adjusted, system gets reset, and everyone is happy. That is just about the easiest version. The winter cold can wreak havoc on the system. Tire air pressure varies according to outside temperature. Sending units can fail to communicate with the control unit, or the sending unit can completely fail. The control unit may lose its programming. All of these are possibilities with the T.P.M.S. system. Troubleshooting your tire pressure monitor system is one of the latest areas that Ridpath’s Auto Center has invested time, effort and resources so we will be prepared for any issues that arise with your vehicle. We do not “guess” when it comes to properly and accurately diagnosing vehicle symptoms. Ridpath’s Auto Center utilizes the latest in diagnostic procedures including tools, hardware, and scanners. We often use multiple software applications to diagnose and confirm vehicle data and symptoms. Implementation of tire pressure monitor systems in vehicles, as well as the repair procedures Ridpath’s Auto Center utilizes, changed drastically over the years. Regardless, our focus remains the same. A cost efficient repair resulting in a more than satisfied customer.